Alright so I normally don’t review products or calendars but this is one calendar I cannot stop being so excited about! Let me also preface this with the fact that this was sent over to me by Steve Caridi over at Year in Space. I should also note that I do not make any money off this and everything written here is my honest opinion. 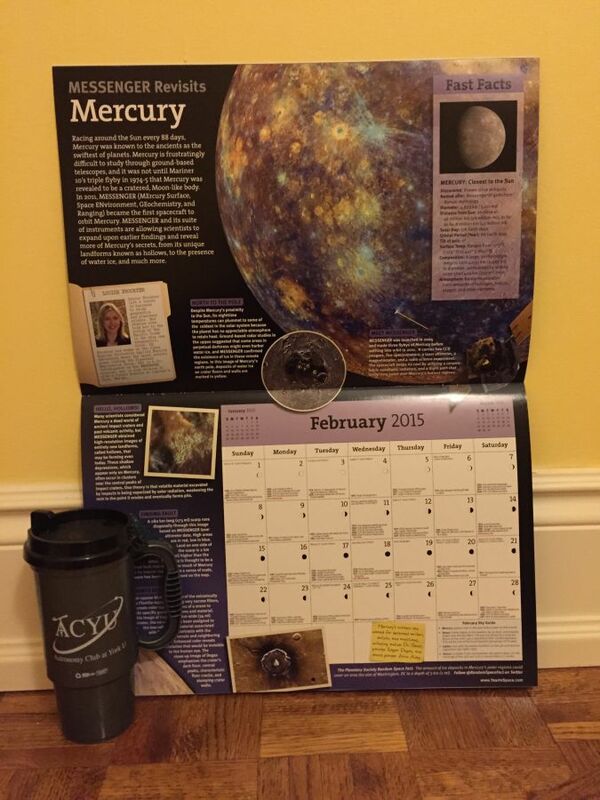 Okay without further adieu let’s jump into my 3 reasons why this calendar is awesome! Okay I know that may be a cop out for listing it as one of my favorite reasons but seriously the images in this calendar are SPECTACULAR. 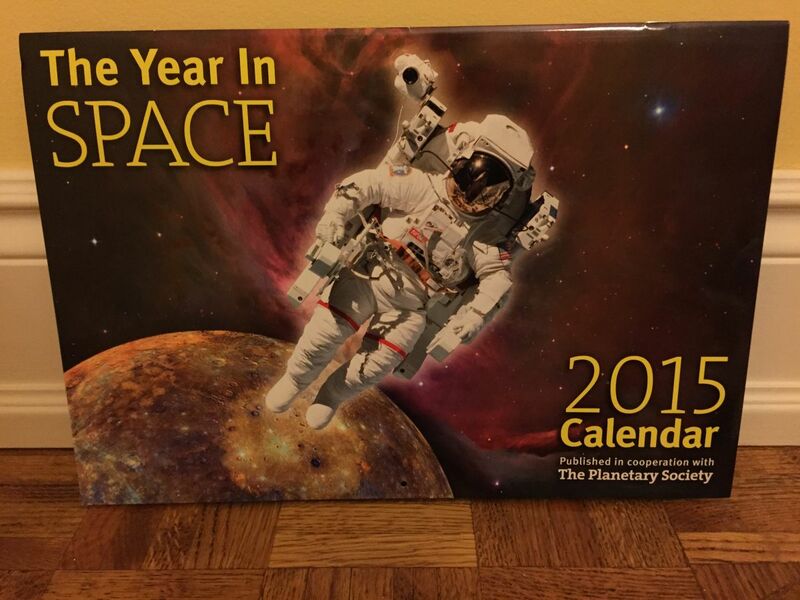 I’ve seen many space calendars that have some decent images but none with as much detail as Year in Space. 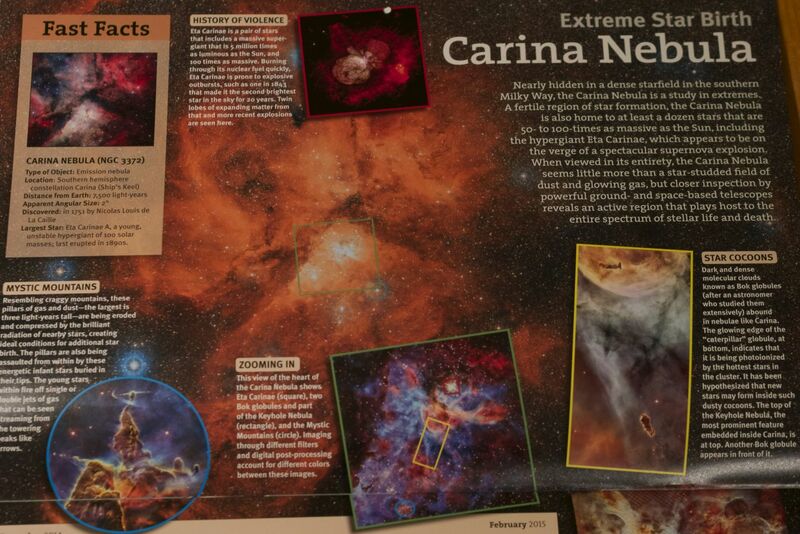 As you can see we are starting off the new year with the lovely Carina Nebula (a little more information about this nebula in my blog post here). Looking more closely we can see the gorgeous gas clouds intertwining and thousands upon thousands of stars forming here. I promise you that when you look at each month you’ll be staring for at least a few minutes getting lost in each beautiful image and picking out intricate details. I really enjoyed reading this area. Even for intermediate astronomers these types of details can be hard to discover without some serious guidance or research. It also makes you want to look more closely at other nebulae to see if you can discover similar traits. Honestly, I did not expect anything to this caliber to be found in a calendar. 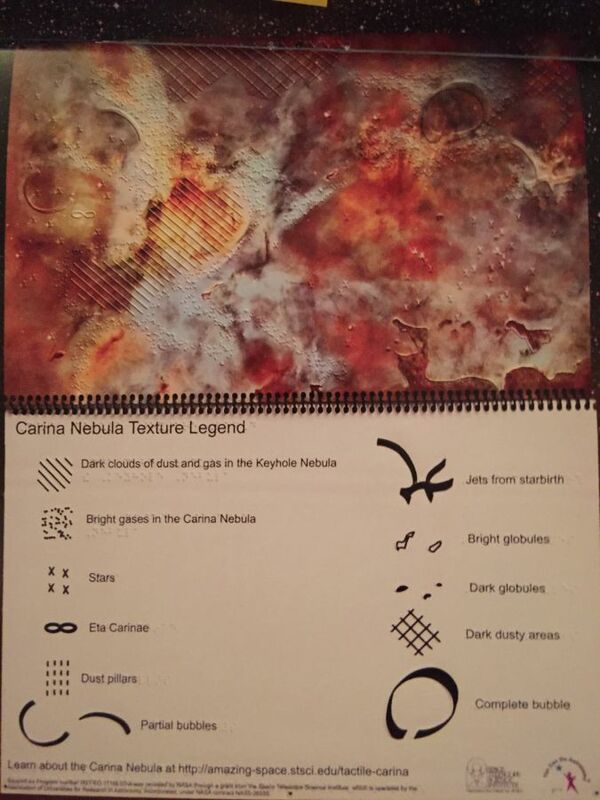 Yes let’s not forget this is a CALENDAR here, not an astronomy textbook… a calendar. 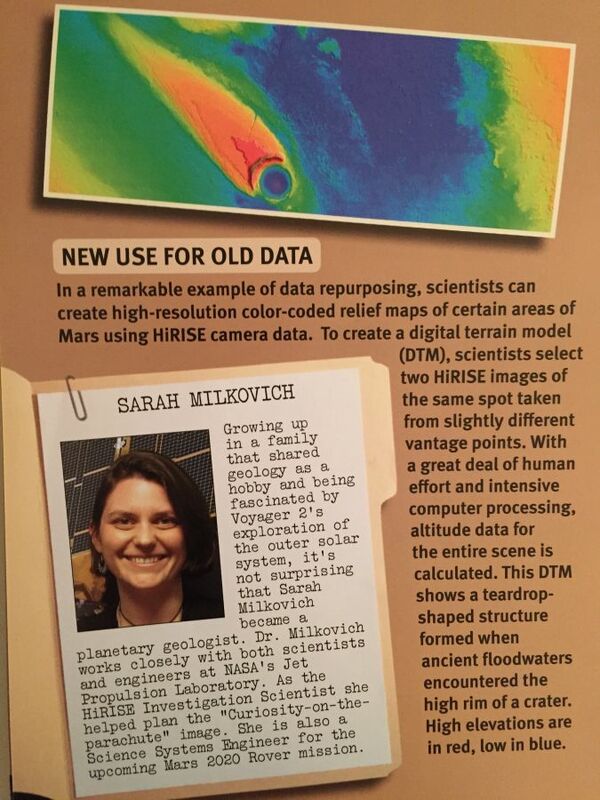 One really cool thing Year in Space included was highlighting a different scientist each month. We’re not talking about the Neil deGrasse Tyson’s or Brian Cox’s of the world but the unsung heroes. These scientists really do help progress humanity, whether it’s deciding on where to land a rover, investigate the best timing for a beautiful image to share with the public, or running experiments in the lab. You may not be able to remember all the scientists names but you will gain a new sense of appreciation of the types of different responsibilities each one has to contribute to a much larger picture. This is a really cool feature in this calendar and also makes it well worth the $14. Just beautiful image of Mars and of course loaded with really cool information that will make your water-cooler talk even more exciting. 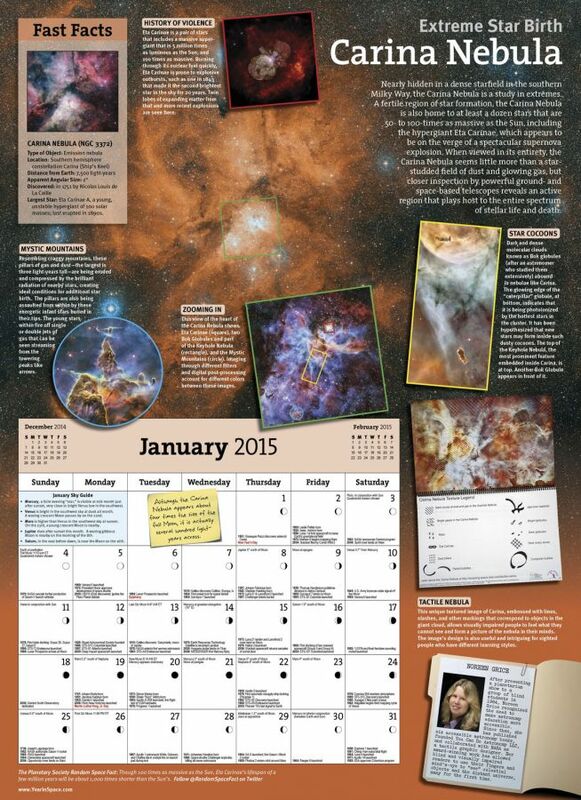 The calendar has GORGEOUS images that will keep your eyes busy and full of astro-envy. It’s loaded with tons of information that will most likely teach you something new for each month. Highlights a scientist each month to ensure the unsung heroes have their time in the Sun. (Don’t glaze over this one – you will gain a much deeper appreciation). Where can I buy one and what are the specs? 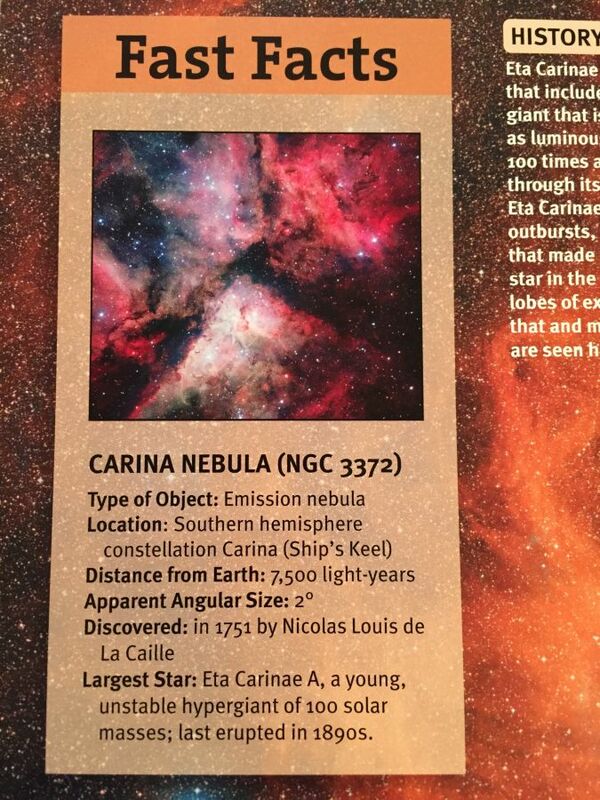 I love that we’re learning new facts about astronomy every single day! Who doesn’t love to learn new stuff? 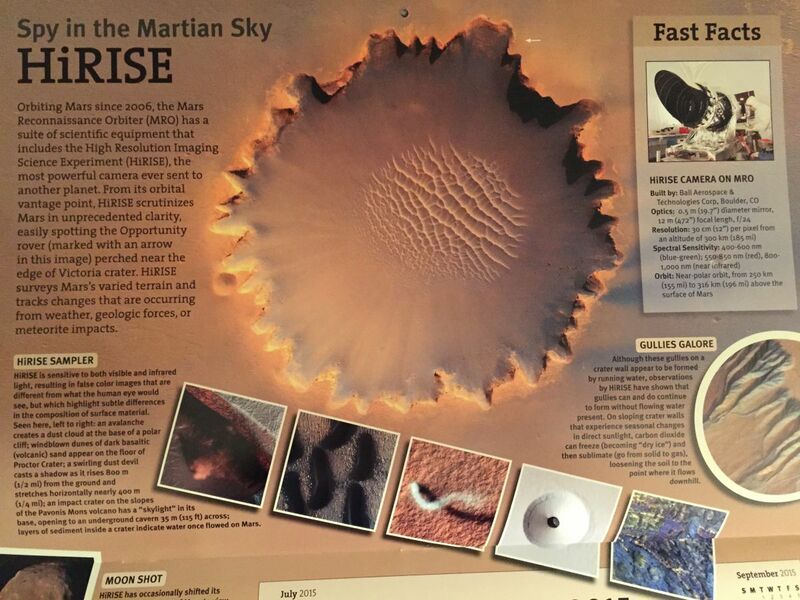 The images are amazing, the information they provide can be applied towards new exploration methods, and it keeps getting better the more we learn about it. Yay!